One of the most famous names in the Amsterdam coffee shop scene, White Widow has held its own against newer strains for almost two decades! Building on the success of the regular and feminized versions, White Label has added an auto-flowering version to the family: White Widow Automatic. 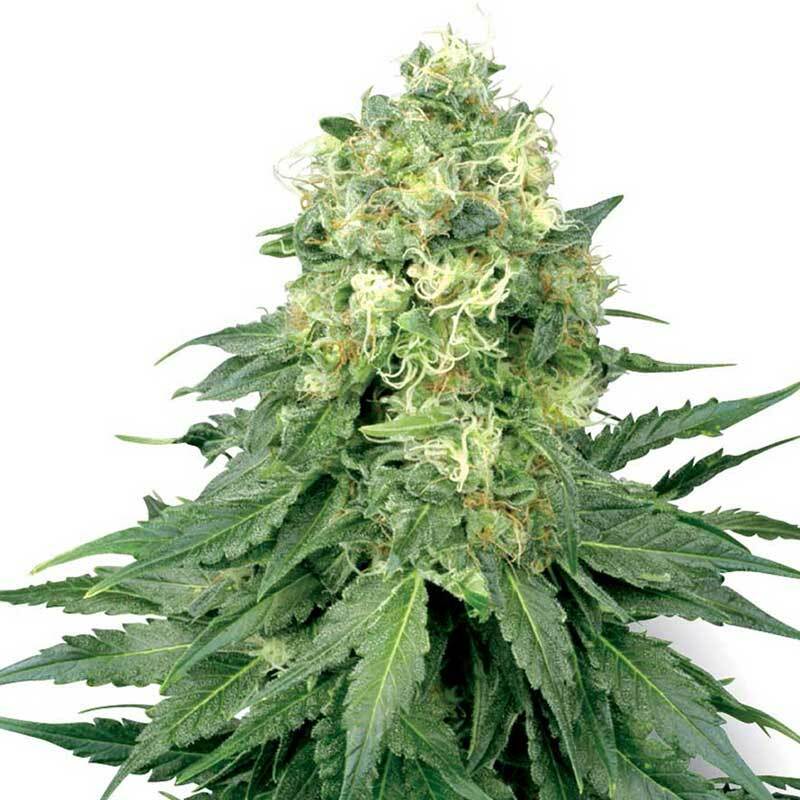 This powerhouse hybrid blends the 70% indica, 30% sativa composition of the original with carefully selected Ruderalis crosses to create a new variety with all the appeal and strength of the original, but now in a form that’s even easier to cultivate! The advantages of auto-flowering strains for both indoor and outdoor growers are manifold. Light cycles and even light spectra cease to be a concern in either environment, as the plants will begin flowering at a certain point in their life cycle no matter what the ratio of hours of light to darkness is. Another special quality of this auto flowering cannabis seed strain is its ability to complete its flowering cycle undisturbed, even in a growing environment that would cause problems for regular and feminised strains - for example, one with irregular hours of light and darkness, or even considerable light pollution during the dark hours. For White Widow Automatic, the first signs of flowering begin to show in the third or fourth week after germinating the auto flowering cannabis seeds. The flowering period continues for another six or so weeks, meaning that White Widow Automatic can go from seed to harvest in as little as 75 days. For outdoor growers in temperate to warm climates, this means the potential to harvest two crops from the same area during one summer; for indoor gardeners, three or even four crops per year could be achieved.